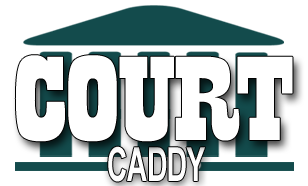 We are proud to announce that the New Jersey Court Rules are now available on CourtCaddy.com at the following link: New Jersey Court Rules. 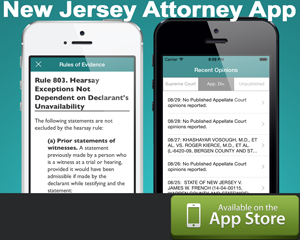 This resource is available for free, and the mobile-friendly format allows New Jersey lawyers to easily reference the court rules on the go. Enter your name and email to receive important New Jersey Court news by email... it's FREE! We will inform you of significant rule changes, case updates, and more. This website should be used for informational purposes only. Nothing on this website is intended to, nor should it be taken as, legal advice for specific situations which depend on evaluation of precise factual circumstances. Should you require legal advice, you should seek the assistance of counsel.